It appears that we may have a new Quentin Tarantino film to look forward to sooner rather than later. Just before the holidays, Tarantino revealed that his follow-up to Django Unchained would be another Western, adding, “I had so much fun doing Django, and I love Westerns so much that after I taught myself how to make one, it’s like ‘OK! Let me make another one now that I know what I’m doing.” While the filmmaker didn’t add anymore details about the project other than the fact that he was in the process of writing the screenplay, it appears that he’s close enough to finishing the script that he’s now showing it to a handful of actors that he wants for the lead roles. Titled The Hateful Eight, Tarantino is reportedly eyeing regular collaborator Christoph Waltz and veteran actor Bruce Dern for to star in his next film. Hit the jump for more. Though we are still a little ways from Tarantino’s next pic actually firming up, Deadline reports that the pic has a working title of The Hateful Eight (how fantastic is that?) 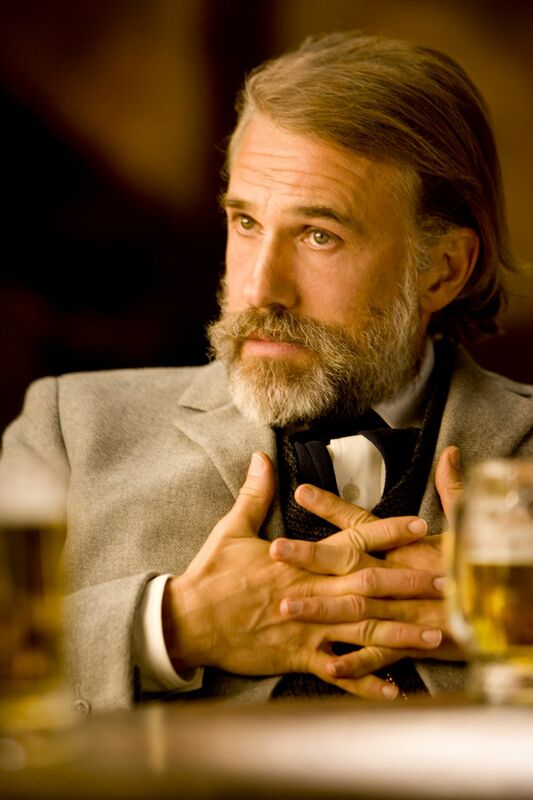 and the writer/director has two actors in mind for roles right now: Christoph Waltz and Bruce Dern. Tarantino has worked with Waltz on his last two pictures, Inglourious Basterds and Django Unchained, netting Waltz Best Supporting Actor Oscars for both roles in the process, so news of the actor’s possible involvement isn’t altogether surprising. However, the prospect of Bruce Dern leading a Quentin Tarantino Western is very exciting. Dern has been making the awards circuit rounds over the past few months for his excellent work in Alexander Payne’s latest pic Nebraska, and the 77-year-old actor seems all but poised to land a Best Actor Oscar nomination come next week. Tarantino’s script isn’t finalized just yet, as he likes to take a solid draft out to his actors first and then take another pass before moving forward into pre-production, so filming on The Hateful Eight likely wouldn’t get underway until late this year. There’s also no guarantee that Dern and Waltz will absolutely be starring in the pic, but they are definitely promising possibilities. Hopefully we hear more soon, but right now it’s looking like we might have a new Quentin Tarantino movie to add to the insane 2015 release calendar—or maybe even Fall 2014 if he’s feeling as ambitious as he was with Django, as THR says filming is likely to begin this summer.